To better perceive things, we better look from afar … True to himself, with this addition, the quiet strength acquired through ordeals, an easy verb, always eloquent, often touching, when he speaks about the past, the character remains elusive. The most intellectual of politics and the most political between intellectuals, head of state, a man of all controversies, stays master of the situation. 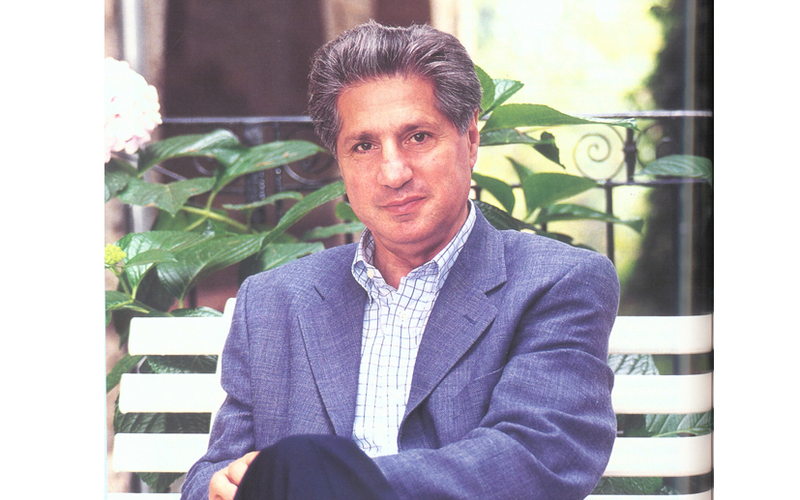 To unravel the mystery of Amine Gemayel is probably an achievement, even when he puts his cards on the table. Then juggles with the questions. With erudition. Your father, a figure of the Independence, had an influential role on the national level. Was it easy to manage your relationship with a person of this magnitude? Such a reputation nationally is sometimes inversely proportional to the influence within the family. My father was so involved in national life that he was often absent. My mother ran the family. My father was very busy with his obligations: first, the party’s founding in 1936, and the major challenges the party faced. Starting 1959, he became an essential figure during the formation of governments. Moreover, he died in August 1984 in full meeting of the Council of Ministers. In 1958, with the government of Four, consisting of Hage Hussein el Oueini, Rashid Karamé, Raymond Eddé and my father, every minister was responsible of four portfolios, you see that only with one department, we are already overwhelmed, what would it be with four! She is a poet, a woman of great culture and this is not a personal opinion. In addition to her talents, she is a lady of great generosity, openness … In order to support the frustrations of politics and the character of my father who was not very easy. The ever-absent husband, she had to bear all the responsibilities of the family. We were six children, family resources being limited, my mother managed herself with the available means. The point is that this woman was as aware of her value that she was discreet. Your mother was born Gemayel. Was she related to your father? My father and mother were cousins​​, my maternal grandfather Elias Gemayel lived in Egypt with his family and was responsible for the cultivation of tobacco and cotton in Mansura, near Alexandria. They were installed but came to spend the summer in Bickfaya in the family home where my uncle Maurice lived. It is in Lebanon that my parents met. Pierre Gemayel has never lived in Egypt? My grandfather Amine and his brother Youssef, patriots and revolutionaries, were part of a group of nationalist militants against the Ottoman Empire. Sheikh Yousef had a pharmacy at Place des Canons. The Pharmacy facing Empire cinema, was ideal for clandestine meetings, halfway between Basta and Gemmayzeh. Denise Ammoun tells in one of her books how this pharmacy was the center of the rebellion but the Ottomans had heard about the plot and were about to arrest the two brothers. My grandfather informed, fled. He embarked in the company of Sheikh Youssef for Egypt. That was in 1914, my father was nine years old. Five years later, they returned to Lebanon on board of a French cruiser. 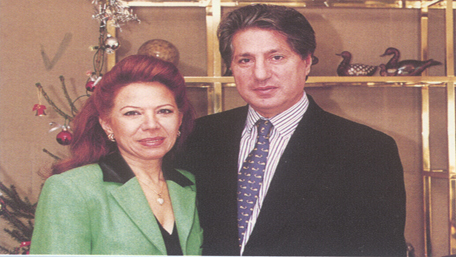 France wanted Youssef andAmin Gemayel to participate in negotiations on the future of Lebanon. It is for this reason that Youssef accompanied the Patriarch Elias Howayek to the Versailles conference in 1919. Your maternal uncles were also remarkable figures of Lebanon each in his field. 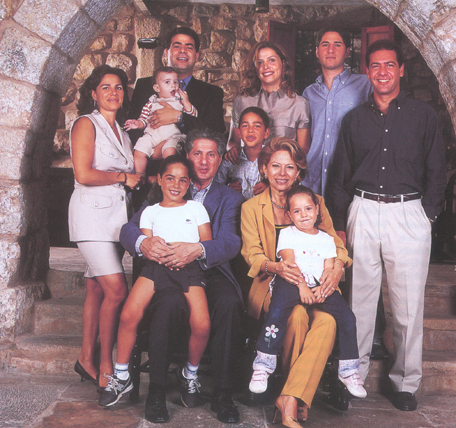 There was at first Alfred Gemayel, brother of my mother, who has lived long on her side. Alfred was a young industrial very talented. In the 20s; he had filed in France a patent for the tire compartment called today tubeless. He had a puncture and imagined how to fix it. It was him who has also taken my mom to a flying club in Alexandria. My mother has become the first female pilot in Egypt. 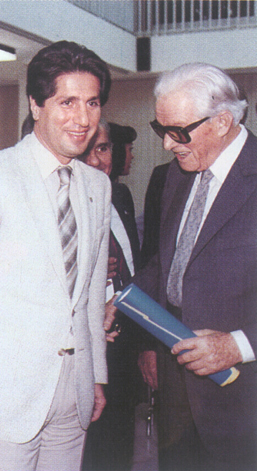 Maurice Gemayel was a visionary, concerned about the problems of development. 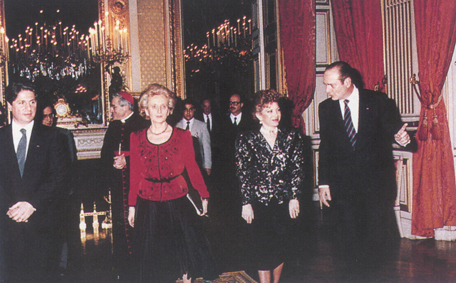 He was elected FAO president despite the veto of the Lebanese government: at the time, the Minister of Foreign Affairs feared the fame of Maurice Gemayel to overshadow his candidacy for the Presidency of the Republic. FAO has nonetheless appointed him for its avant-garde projects. The brother of your father, Gabriel Gemayel, didn’t he have a political ambition? No, he was rather oriented towards sport and chaired the Lebanese Olympic Committee. Active and effective member of the International Olympic Committee, the issue was he becomes vice president. He made many services to Lebanon. It was he who organized the first Pan Arab Games there, and was at the origin of the project of the Sports Centre. Between the pharmacy and politics, there is a whole world. How did your father make the transition? My father was a pharmacist, my uncle chocolate maker but all properties were in common, and if I mention the chocolate factory is that it played a significant role in the life of my father, he often went to Palestine for his business and that’s how he got in touch and became friends with some Palestinian leaders including Hajj Amin Husseini, Mufti of Palestine, then became head of the Palestinian government in exile. When he left his country, he settled in Mansourieh Metn, partly thanks to my father. My father managed his pharmacy until 1958 and then began to do politics. My uncle then took over. You worked very young while you pursued your studies? I gave private lessons when I was in high school class and I taught history and geography at the School of Father Khalife. Also, during my four years of Law, and as class attendance was not essential for all subjects, I worked in the Executive Council of Great Projects. I had the opportunity to, through my work, earn my pocket money. Since we are speaking of my experience at the Council of Great Projects, I want to mention the name of its Chairman Fayez Ahdab, an outstanding personality who greatly influenced me. I came from my cocoon in Bickfaya, he was a Sunni from Tripoli. I found in him the “other” Lebanon, highly edifying. For me it was an opening to others and their values​​. President Ahdab was as good patriot as good visionary. I remember for example that he had imposed to all architects participating in competitions and public tenders, to ensure in their projects to preserve Lebanese architecture. And they respected that rule. Since, this tradition has disappeared from the construction of public and private buildings. It is necessary to work for the preservation of heritage and architecture. Any country that loses its soul loses itself, heritage is a part of our soul. When did you start your career as a lawyer? I was already working during my law studies. I always succeeded at my exams. Then I did an internship at Fouad Boutros, and three years at Albert Laham, then I opened my own study, at Clemenceau Street. Since my father was very involved in politics, most of the customers who frequented my study relied on political influence rather than on the law itself, I was frustrated and oriented myself to international Law, that is how I was instructed certain legal business abroad, particularly in Africa. During the incident of 13 April 1975, the case of the bus that had started the war, I was in Liberia for devolution estate. This very rewarding career start opened new horizons. And your memories as a parliamentarian? I have many … Rashid Karamé for example whose chair at the Assembly was close to mine. When I appointed him as Prime Minister in the dramatic circumstances that you know, he told the magazine Hawadeth, that his relationship with Amine Gemayel is the best he had with a head of state. These are friendships that started on the benches of Parliament. And in parliamentary conferences in London, Koweit … I had the opportunity to meet a lot of foreign politicians, like great Palestinian tenors Khaled Fahoum, Abu Ayad, Khaled Hassan … Since a friendship has bound with Palestinian responsibles. These relationships have allowed during times of great crisis, to solve human and major political problems, to maintain dialogue. The confrontation was at its peak with the Palestinians. At the battle of Tel Zaatar, I came across these contacts to prevent a real genocide. Is witness the Red lnternational cross who evacuated refugees. A few years earlier, in 1972, at the Parliamentary International congress in London, there was tension between Palestinians and Lebanese. I asked to speak. Palestinians who relied to win international opinion did not want the Lebanese attack the Palestinian cause in such an important conference. I gave my speech, the loudest applause came from the banks … of the Palestinian delegation that came to congratulate me after. It is said that during your mandate, you have “left” the president of the Assembly at the time, Kamel Assaad although he had strongly supported your candidacy, preferring Hussein Husseini, why? I did not leave him, I have dropped no one. I felt from the beginning that Kamel Assaad was not too hot for an election to the Presidency, and also regarding close collaboration. Moreover, he took the lead and broke with a well established tradition, the weekly visit of the Speaker of the House to the Head of State. Secondly, I had no reservations, no objection for his reelection as president of the Assembly during my term, quite the contrary. If on a personal level, there was not much chemistry, politically, we had the same orientations. Following the failure of the Agreement of May 17th and two conferences in Lausanne and Geneva, there has been a reshuffle of the policy and alliances.This has naturally led to the election of Hussein Husseini. I keep a high regard for Kamel Assaad, but the esteem and affection are not sufficient to change things, especially when there is a one way relationship. How do you assess the results of your mandate? I leave to history the task of assessing and judging. If I had to express myself, I would say that I could do the impossible in the conditions that prevailed. From the beginning to the end of my term, there was a determination to destroy the Lebanese entity, I can cite a variety of events and stages of the mandate. Each would be enough to shatter the Lebanese entity. We should not forget that in 1982, I assumed my duties in the worst moments. Even the capital was occupied by the Israeli army. And the country was already immersed in a long bloody civil war. I had to fight on all fronts … without means. The establishment of the fragile Lebanese mosaic has required hundreds of years but its destruction was hanging by a thread. I managed, against all odds, to preserve the Lebanese institutions, to prevent breakage. In the most difficult moments, the dialogue has never ceased. Even when the government returned to rebellion, I was able with Rashid Karamé to avoid the worst. A serene analysis, objective and impartial would lead to this conclusion. I managed to maintain the essential, the sacrosanct. Preserving the Future, that was my goal. People judge me on superficial issues, but few have entered the substance of the matter, to assess those efforts that have preserved the essence of our national entity. There were talks about “bets”. Each one thought himself infallible, believed to hold the truth and tried to pressure me, to push me to a direction rather than another. Or any of these routes would have led to suicide, I got to keep one bet, the Lebanese bet, and I paid dearly. I had to fight against those extremes that had the same purpose. I managed to ensure the sustainability of the state and keep the country every chance to meet in the unity and uniqueness of the Lebanese political system. What is your biggest mistake? The word error is not the correct term, there are initiatives that have failed, “Error” induces an intentional action, or I was elected in exceptional circumstances. The country was occupied by multiple armies and various intelligence agencies. The state coffers were empty, we were plunged into a deep political crisis and the occupation had affected all infrastructures. We had to redo everything, of course that there were errors. Only God is infallible. That said, in law, we distinguish between the obligation of results and obligation of means. For example, a doctor has an obligation to use all means to cure his patient: it is the obligation of means. If the patient dies, the doctor is not responsible. An engineer has an obligation to construct a building that is strong enough; if the building collapses, he is responsible. In the case of the Presidency, the people consider that the obligation of the head of state is the obligation of results, if he fails, he is responsible! While the responsibility of the President is a responsibility of means. Looking back and God knows I’ve made ​​my self-criticism and reflection, I have even written a book on the subject, I consider, in the context that prevailed at that time and especially from concrete factors, I have done with the resources panel, the maximum possible. And if I had to relive the same situation, I would have acted the same way, my reflexes would have been the same, although now I see that this or that action failed. But I had no other choice. How do you respond to those who say that you are a brilliant speaker but you do not keep your promises? What promise did I not hold? You know, my detractors are many. I would like someone confronts me with facts. It is easy to criticize and defame. But the truth will always win. What matters to me is the spontaneous judgment of the people, and not that interested of the political class. This nation has always expressed its sympathy and affection. After twelve years of absence, and despite all the smear campaigns, which I was subjected to, people kept me in their heart and express to me affection and solidarity every time I attend a public meeting. Whichbrings crazy my detractors who believed killing me politically. It is said that you lost friends trying to get closer to your enemies, without being able to make them friends. It happens to be abandoned by friends. Moreover doesn’t the Arab proverb say, “Beware of the man to whom you have done good”? Some did not want to continue the journey with me because it was bumpy. I was subjected to harassment. Others remained as committed to me. I found them equally enthusiastic and dedicated. Let’s take the example of Kamal Jumblatt, to how many people he has done a service and how many have turned their backs on him? And fellow companions of Bachir my brother, unfortunately, numerous who seemed most unconditional and irreducible who betrayed him? In my case, my friends are still there, very numerous, as my enemies, but they are less numerous. I understand when you say I abandoned my friends for my enemies, but I defend myself, “My goal has always been not to have enemies. That may be impossible, utopian but I tried constantly to keep the dialogue with the very people who cultivated an almost pathological hostility towards me. In politics I understand that we have adversaries, but not enemies. My father did not want to sacrifice more of his family. He was insightful and foresaw that no president could save the situation in the current environment. He told the press that under current conditions “accept the Presidency is a true act of suicide.” Then events have moved. Who presented your name for the presidency? Edmond Rizk, politburo member, having previously met with Kataeb members, in the absence of my father, was the first to announce during condolences in Bickfaya in the presence of Kamel Assaad, that the party nominated Amine Gemayel, Kamel Assaad did not respond. Several factors have contributed to the adoption of my candidacy by various political forces. On one hand, through the House of the Future, the Center for research and reflection that I founded in 1977 and which I directed. 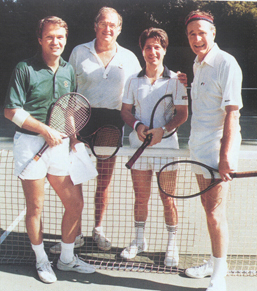 I had established relationships with many politicians from all sides. 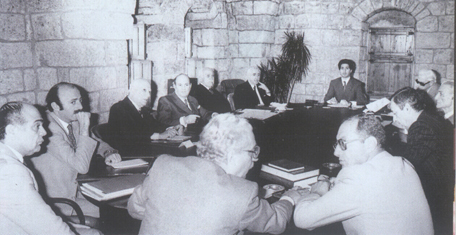 The center brought together a large number of politicians and members of the Lebanese intelligentsia. I thus gave a different image of that of the conventional politician. On the other hand, my relationship with the Lebanese and Palestinian leaders. If they were maybe not in favor of the candidacy of a Gemayel, they were not opposed to the candidacy of Amine Gemayel. There was no block on the part of Muslims and Palestinian factions in a besieged Beirut. All this helped me to take responsibility as head of state. The Americans were surprised by the acceptance of a number of Muslim leaders and non-objection of the Palestinians. Thus I was able to get almost unanimously votes of the Parliament. Members have risked their lives to come and vote in dramatic conditions we know. It was an expression of solidarity and national unity, conviction of parliamentarians of all faiths, of the need to avoid a constitutional vacuum. They rallied around a person capable of consolidating the Unity of the country. Some of my friends are formalized that I salute an opponent. If you disagree with someone in politics, that does not mean you’re going to attack him every day. Today’s opponents may be tomorrow’s allies. Lebanon more than any other country has shown us how politics was versatile. How did you feel about your exile period ? What did you learn? Do I have to thank those who forced me into exile? Because I am so attached to this country that I would separate with difficulty. Abuses and threats to my person, my family and my collaborators hastened my decision to leave. And I left two months after the end of my mandate. This has been a very beneficial period. Once in the United States, I could appreciate how this decline was essential for my balance, my intellect, and also for my country, because I could think better in the future. The first day I left, I was sad, frustrated, lost. I arrived in Paris, in my apartment that belonged to me for many years. I was alone. My wife and children remained in Lebanon with our supporters not to give the impression that Gemayel were dropping, abandoning the ship. A way of asserting our presence, our attachment to the country, and to signify that my departure was temporary, personal. So I was totally alone, I picked up the phone, I did not want to talk with anyone. But these few very difficult days, these moments of extreme tension alternated with sunny, quiet time, reflection. I pulled myself … This desert walk would either engulf me or be my new jumping board, it is the second option that prevailed. Did your family join you? At first, my family remained in Lebanon, but we quickly organized to meet frequently. Then my family joined me in Paris. It is said that going away offers a better perspective, this was your case? This was indeed an edifying experience because I was disconnected. From Harvard, where I spent two years, I followed what was happening in Lebanon, but with a certain detachment. But when it counted, I was taking positions. I studied the Taif agreement in consultation with professors at Harvard. I issued a statement that expressed my position: I was not opposed to the principle, the agreement included positive clauses, but also seriously flawed. What did you do after those two years at Harvard? I returned to Paris but I continued to lecture, in Lithuania, whose president is a friend, in Moscow, London, Belgium and France in particular at Insead in Paris but also in some Arab countries and in the United States. I then completed my work Rebuilding Lebanon to be published by Harvard University. Some members of the Publications Board opposed it, considering that the University rules, do not allow to publish a political manifesto, others argued that the main thing was that the work conforms to the ideological, philosophical and academic orientation of the University. And it was published. Although highly specialized, this book which advocates, avant-garde ideas sold well in the United States, to my amazement. I joined the University of Maryland in Washington as a teacher. I’ve spent a year at the Faculty of Humanities. The contract was to be renewed, at the same time I decided to return to Lebanon. Are there some things that you cannot take the liberty to make in your quality of former president? Since the beginning of my mandate, I have tried to perform my duties according to my conscience while staying relaxed, without becoming a prisoner of strict protocol. I was driving my car. My wife and I went to dinner in peace. We continued to lead a normal life. Most of the time we were staying with family. I tried to be myself and I think I succeeded. I try to put the masks away, although I am sometimes forced to wear them. According to circumstances. Mask, I mean the rigidity imposed by the function or the ex-function: the chair has such a lofty status in national life that a former head of state remains dependent on some responsibility. He must always be aware of that dimension. Do you have well-defined plans for the future? In fact, I have more than one string to my bow. First, to Qornet Chehwan, the gathering of politicians who think together on how best to help the country emerge from its crisis, reinstate the sovereignty, help to changes in the Lebanese political system towards greater freedom, democracy, efficiency, transparency in the exercise of government. Another responsibility is the Kataeb party. I still consider it a major national party to restore national balance. It has always worked in the best interests of the country. Moderate in its views, it advocated dialogue between the various factions, and as far as possible kept reaching out to all parties, outside or inside the country. There were gaps, excesses, mistakes but so far, I found that nothing could replace the party in its initial mission. Today is the time for reforms, to develop it. But first to rebuild it. I consider this as one of my obligations. I have no personal ambition. For me being the party chairman is not an objective in itself. What matters to me is that the party regains its role on the national stage, in concert with other political factions. Finally, I try to promote a healthy reflection on all political, economic, social, cultural, artistic problems … And today, the cultural clubs maintain dialogue on an intellectual level, we must go further and work with vision, with the same purpose as the House of the Future.